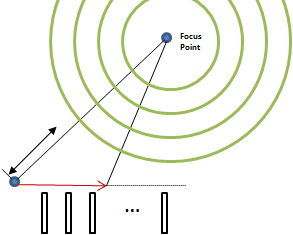 Acoustic Beamforming enhances the speech of interest while suppressing interference, background noise, and reverberation. It allows people to move freely around without wearing or holding a microphone. An acoustic beamformer provides the option to capture the individual speech from each talker and generate separate voice streams, i.e. it enhances the signal flow from the talk of interest to specific individuals while allowing background noise (other talk, motors, movement, etc.) to take place. VOCAL’s acoustic beamforming software supports uniform linear, uniform circular, and uniform square microphone array orientations. The maximum number of microphones that can be processed by the acoustic beamformer for real-time applications is limited by the capabilities of the processor. Contact us to discuss your acoustic beamforming application requirements.